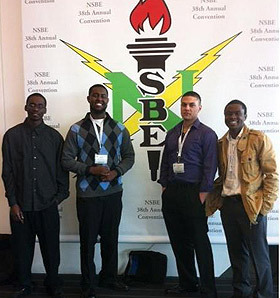 Physics majors Gottlieb Uahengo, Mohamed Sheikh-Mohamed, Amir Rose, and Fred Vedasto attend the National Society of Black Engineers (NSBE) conference in Pittsburgh, PA.
Plan now to develop your Augsburg undergraduate education through interaction with peers and professionals off campus. 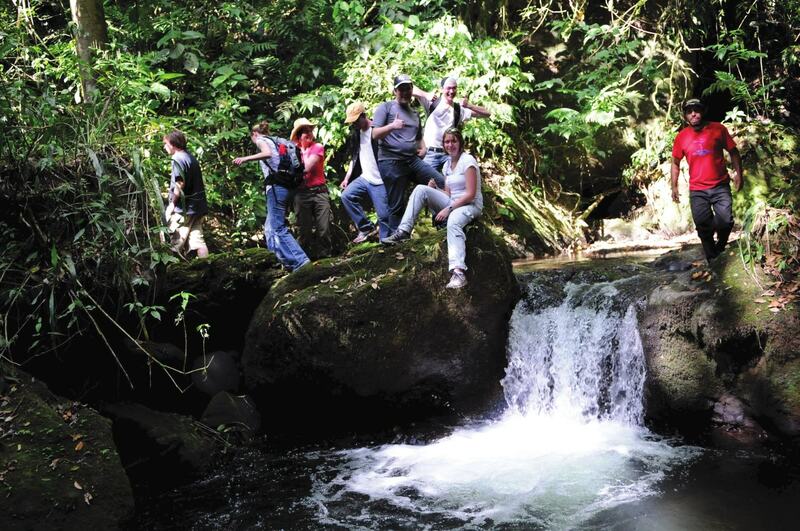 Rather it be through travel to South Dakota or South Africa, students are encouraged to embrace learning opportunities that go beyond the classroom to transform themselves, personally and professionally. Each year in the United States professional organizations such as the Society for Hispanic Professional Engineers and American Physical Society hold conferences that allow Augsburg students to gain knowledge and interpersonal skills as they network with peers and professionals in their field. Students desiring to have an international experience can study abroad, join a short term travel seminar, do research or set up an independent study in another country. With the help of Augsburg’s Center for Global Education and Experience, programs can be tailored to the interests and curricular needs of each individual student. Augsburg students on location in Nicaragua learn about co-op farming and best practices for sustainability and community development.